Louise Fitzhugh is perhaps best known for her novel Harriet the Spy, published in 1964 and lauded today as a classic children’s fiction work. Both written and illustrated by Fitzhugh, Harriet tells the story of an aspiring reporter who, at eleven years-old, keeps a notebook detailing all of her opinions and observations like a real-life journalist. The novel’s drama begins when Harriet’s notebook is discovered at school, launching a series of challenges for the quirky young writer. Fitzhugh died ten years after Harriet was published, and biographical details about the unmarried author were released years later when people started researching her life. While she had been openly gay, her personal relationships had not been widely publicized. 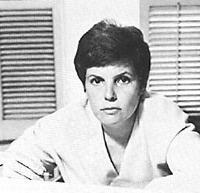 Some have since celebrated Harriet as a reflection of Fitzhugh, believing the character to be gay, too. Many common threads have been drawn between the two, including their residence in New York City, their penchant for writing, their status as outsiders, and the names of their friends (Fitzhugh famously named some of the characters in her book after people she knew). Fitzhugh’s novel has also been noted for its honest portrayal of children: curious, critical, hypersensitive, and wry. Harriet is a far cry from the wide-eyed innocents of other children’s books. She lies – in fact, that’s the main lesson of her story! After all, as her nanny/role model instructs, “You have to lie.” This message, along with some of Harriet’s habits – like making brutal observations about everyone she knows and her need to visit a psychiatrist – have, over the years, inspired some schools to ban Fitzhugh’s work. Having only lived to age 46, Fitzhugh was not a prolific author. Aside from Harriet the Spy, which was her most successful book, she wrote or illustrated Sport, The Long Secret, and few other children’s stories. Get to know the American classic yourself by picking up a copy at your neighborhood library or by watching the 2003 movie starring Michelle Trachtenberg. 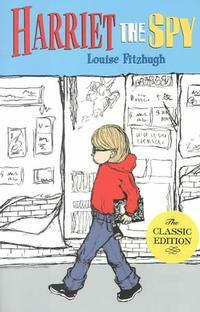 However you get to know Harriet the Spy, please join all of us at the Free Library in wishing the great Louise Fitzhugh a very happy birthday this October 5th! 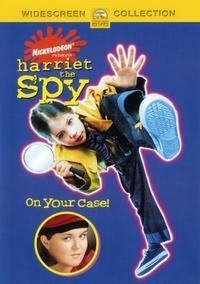 "On Spies and Purple Socks and Such"
Add a Comment to Happy Birthday, Louise Fitzhugh!